It is often said that good hair and skin are inherited, but what you make out of your good genes is completely up to you. A large part of leading a healthy life depends on the kind of food we eat, our lifestyle habits and the way we treat our body. When this crucial balance is disrupted, it affects our body functions. Today, having a nutritious diet may not be enough for your beauty regime and you may have to resort to some natural treatments to fight external damage. Cosmetic products are usually laced with toxic agents and unwanted chemicals that do more damage to our skin and hair. Therefore, we need to go back to our age old science of Ayurveda. If you are looking for something extra to supplement your lovely locks, you’re in the right place. We’ll tell you about a traditional ingredient that has long existed been used for healthy hair. Not only is it safe and hassle-free to use but it also provides the much needed nourishment to damaged and dull hair. “Henna is excellent for hair. You can team it with a range of ingredients like reetha, shikakai, aloe vera, neem and amla,” shared Dr. Deepali Bharadwaj, a leading Delhi-based skin and hair expert.It is great for hair conditioning as it adds a double-coating to your hair strands. Regular application of henna gives your hair a brilliant sheen, a rich burgundy hue and shields them against external damage. 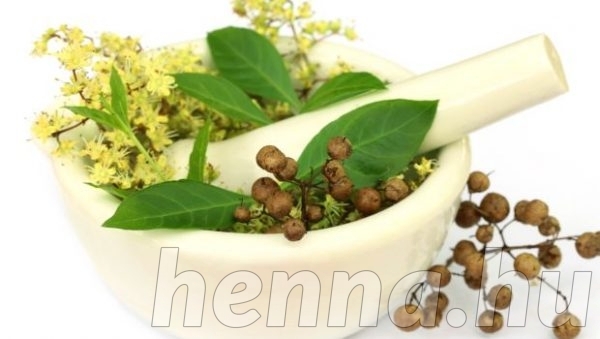 It has also seen to be beneficial in treating dandruff and an itchy scalp. There are some crucial points to be kept in mind. Always ensure that you don’t let the mask rest for long. It will harden and become difficult to remove later. Always wear gloves to avoid staining your hands. Make sure you always use fresh henna powder, old powder will not render the desired result. It is preferable to grind fresh henna leaves and use it instead of buying it from the market. While applying henna, never forget to cover the entire body of your hair – from root to tip. Keep petroleum jelly handy to wipe off extra paste from your forehead or from any other areas. 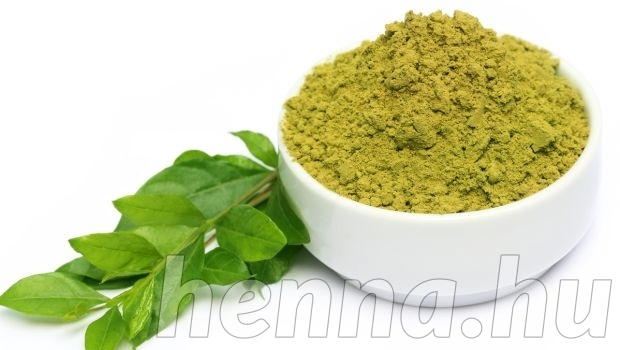 As mentioned above, henna always goes well with shikakai, reetha, amla, neem, aloe vera and many other natural ingredients. 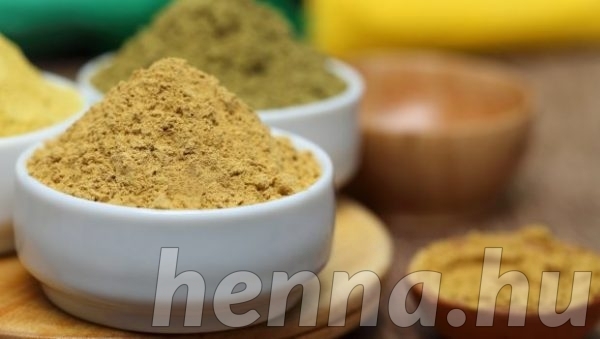 You can use three portions of henna powder and combine it with one portion of amla powder, shikakai powder, neem powder and reetha powder. You can even add a teaspoon of mustard seed powder. Make a paste by adding a teaspoon of castor or olive oil and two teaspoons of curd. Oil will nourish the scalp and hair while the curd will help in conditioning. Achieve the desired consistency by adding water. 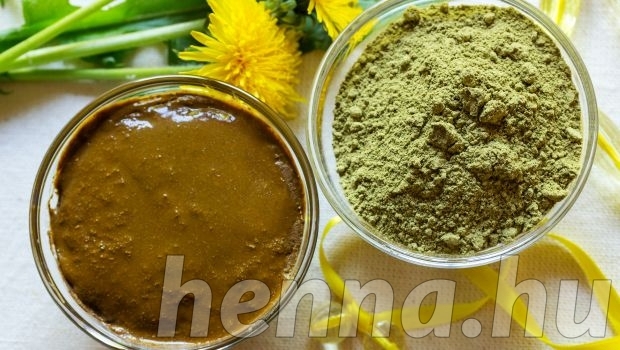 “Henna has acidic properties which can be neutralized by adding components like curd. You can also try adding powdered flowers like hibiscus. The composition remains the same – 3:1 ratio,” concluded Dr. Bharadwaj. Let the mask sit for an hour and a half. In case you are pressed for time, take some steam or wrap a hot towel around your head (always wear a shower cap, you wouldn’t want your towel to spoil). Rinse once done and use a mild, herbal shampoo.All said and done, always consult your dermatologist to determine your hair type and accordingly create herbal masks and packs to suit your needs. 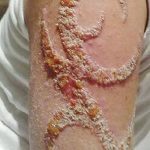 A patch test is always advisable to know of any undetected allergies.